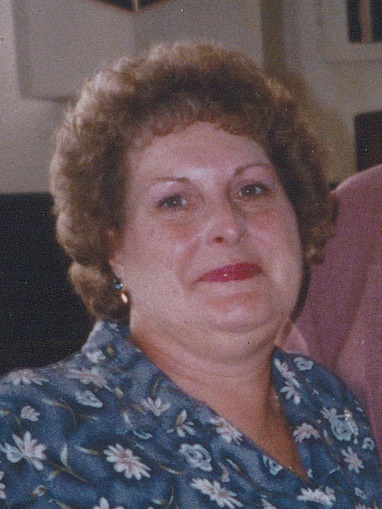 Rebecca A. Carr, age 72, of Upper Sandusky, Ohio, and formerly of Lakeland, Florida, went home to be with the Lord, on Tuesday, March 19, 2019 at 11:12am at Marion General Hospital. Becky was born on February 17, 1947 in Bellefontaine, Ohio, to John and Clara (Keller) Snook, both of whom are deceased. She is survived by a son, Duane (Diane) Flood of Auburndale, Florida, and a daughter, Lora Moa of Davenport, Florida. 2 grandchildren: Jessica Wylam and Jacob Moa, along with 3 great grandchildren: Tearson, Layla and Joseph. Becky is also survived by a brother, John (Wendy) Snook of Hilliard, and 4 sisters: Bonnie Snook of Upper Sandusky, Sherry Snook-Barth of Upper Sandusky, Diane (Stanley) Snook-Hartzler of Belle Center, Ohio, and Paula (Mickey) Snook-Walters of Marion. Becky was retired from FedEx Company where she worked as a permit clerk. She was previously employed by Line Haul Trucking and Watkins-Landspan Motor Lines. She attended Union-Salem United Methodist Church, Upper Sandusky, and also enjoyed fellowshipping with fellow cancer survivors at Hope Group, through Wyandot Memorial Hospital. For hobbies Becky enjoyed fishing, dancing, creating flower arrangements, feeding and watching hummingbirds, and collecting angels. A memorial service for Rebecca A. Carr will be held at 11:00am Saturday, March 23, 2019 at the Lucas-Batton Funeral Home in Upper Sandusky with Rev. Kristin Buchs officiating. Visitations will be held 1 hour before service time, 10:00am to 11:00am, and also after the service on Saturday at the Lucas-Batton Funeral Home. Memorial contributions may be made to Oncology Department of Wyandot Memorial Hospital, and can be sent to Lucas-Batton, 476 S. Sandusky Ave. Upper Sandusky, Ohio, 43351. Wyandot Memorial Hospital - Oncology Dept.